Lead generation is one of the toughest parts of the marketing job, and arguably one of the most important as it’s the very blood life of any business. What makes it the toughest? It’s, obviously, convincing or persuading the prospect that what you are going to offer would be the best remedy for his or her organization in a given situation. With customers getting more connected and informed, and marketplace more competitive, it’s important to explore new methodologies to make lead generation easier, faster and more reliable. In the quest, let’s see how AI chatbots development and integration can make a difference. With a chatbot powered lead generation platform, your business is no more limited to any time zone. Prospects and customers can connect with your business round-the-clock. They can seek information they need, raise requests, know the status of their requests, and do more. So, being responsive on real-time basis, an attribute that was totally missing from conventional lead generation platforms, like print advertising, trade shows, website, email marketing and search engine optimization, chatbot integration gives you an edge over competitors who are not having it. The artificial intelligence helps a chatbot lead generation tool to perform behavioral decoding like anything. When integrated with a website or app, it can tell its owners to what extent the prospect was interested in the pitched product or service communication. It can even interpret words and identify the opportunities and bottlenecks that are on the way of lead generation and conversion. All the prospects that come in touch with your lead generation platform may not be blessed with the same level of patience. Most of them seriously lack it. In the wake of it, it’s important that your lead generation platform works smoothly and responds to the user’s queries promptly. Ask your chatbot developer to integrate plugin that can help you set up or schedule an appointment in a quick and easy manner, if required. Otherwise, you may risk losing leads and customers who are running out of time. Lead generation is an art. What does it take to convince or influence others, apart from the language? Of course, it’s the interpretation of the needs of others and presentation of the viable solution that can fulfill the needs and make a difference to the owner. 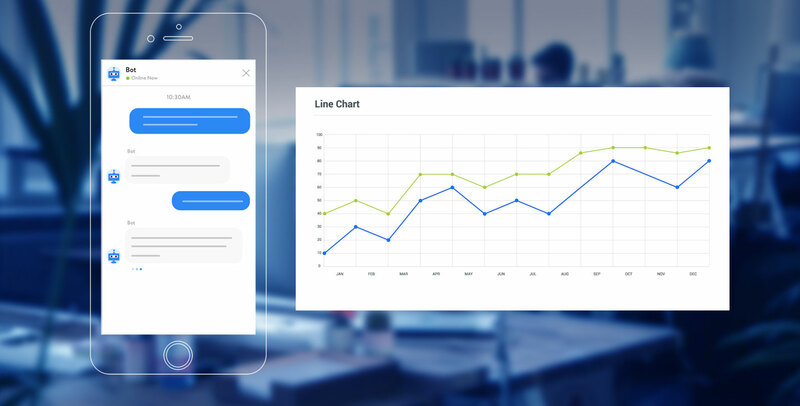 Analytics-driven chatbot helps you to gain insights of the preference of customers and the market trends that you can use to stay future-ready and develop resilience. Conclusion: With customer experience emerging as a key business differentiator, bridging artificial intelligence and human intelligence, chatbots are all set to make customer acquisition easier, faster and cost-efficient. However, while designing an AI chatbot, you must pay attention towards delivering a native experience to users on their targeted device.